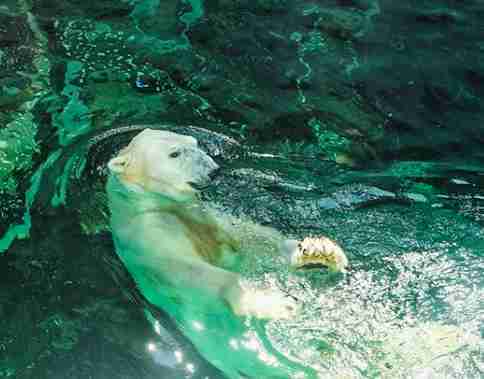 For 21 years, Tongki the polar bear spent his days inside a concrete pit. In the summer months, the tropical heat was so intense that the arctic bear rarely moved. Every day, he was stared down at by noisy zoo visitors and had nowhere to escape their constant picture taking. He was the only surviving polar bear in South Korea and was about to be transferred to a sanctuary — until he was found lifeless in his enclosure on Oct. 17. It would have been just days until he went to a British wildlife park, where he would have enjoyed cool temperatures, snow and ice. But the 24-year-old bear couldn’t hold on any longer. 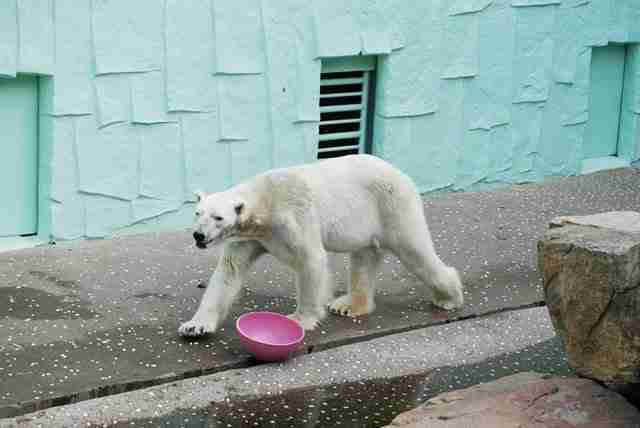 Tongki lived at Everland, a theme park in South Korea that contains a zoo, which was long-criticized by animal advocates for keeping the bear in unsuitable living conditions. Jiyoung Lee, of the group Action for Animals, strongly advocated for Tongki, and spoke with The Dodo in 2015 about his state at the time. Back then, Lee described Tongki’s exhibit as “small, barren and terrible,” noting that it lacked key features that would have increased his comfort, such as proper shelter, substrate to cover the concrete and a proper pool and cooling system. In the summer months there, temperatures easily surpass 90 degrees Fahrenheit. In addition to local advocates, thousands of people online signed petitions urging the zoo to relocate Tongki to a sanctuary, or at the least, a zoo that could provide a more appropriate climate for him. In addition to being lethargic in the hottest months, Tongki also had algae growing on his fur from the extreme humidity. 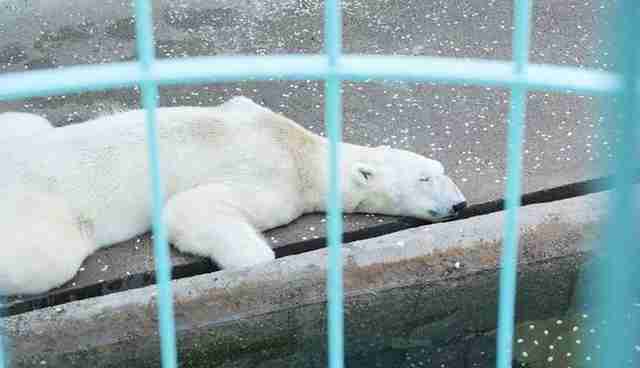 It’s no secret that life at a tropical zoo can be agonizing for polar bears. 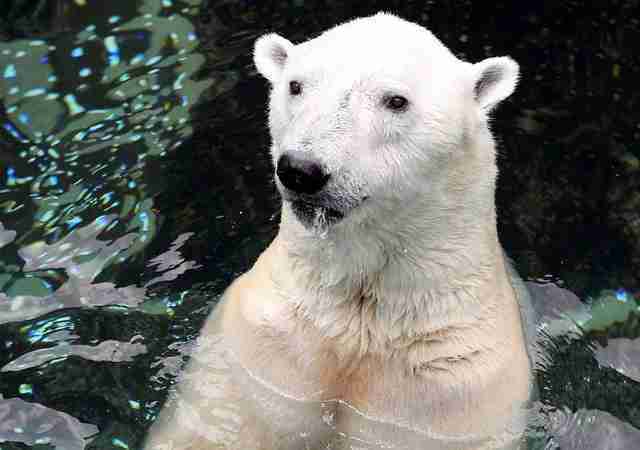 Much like the famously depressed polar bear Arturo, who lived at a zoo in Argentina until his death in 2016, Tongki often exhibited patterns of repetitive movements, known as stereotypic behavior, that stemmed from the stress of living at a zoo. He would regularly stand nearly motionless in his shallow pool, as throngs of tourists gawked and took photos of him. 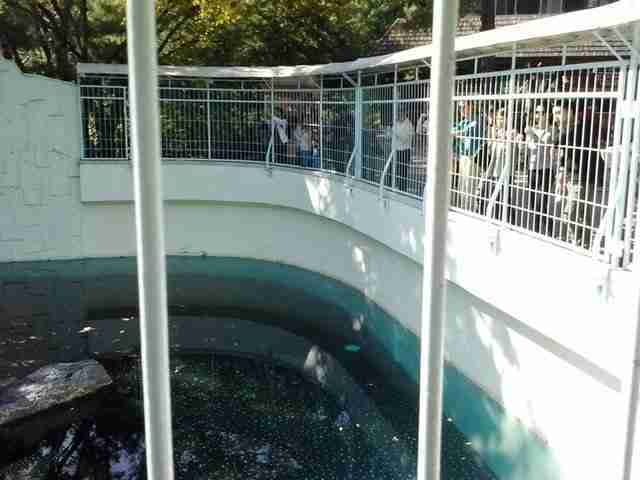 Earlier this year, responding to concerns, the zoo, which is operated by South Korean brand Samsung, pleasantly surprised advocates when it announced it would be retiring Tongki to a sanctuary. But the call just came too late. While Tongki can no longer be saved, you can honor his memory by avoiding zoos that keep polar bears in captivity, and donating to causes that help conserve wild habitats for them. To help protect polar bears in the wild, you can make a donation to Polar Bears International.